When you would like to wear a blue shirt but are looking for a little interest in the English fabric the Blue Herringbone is for you. 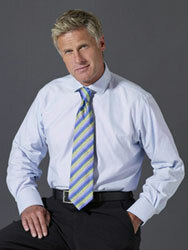 A soft twill weave makes this a very comfortable shirt to wear and easy to iron. Made from two fold 100's warp and weft cotton white yarn Dyed Fabrics. 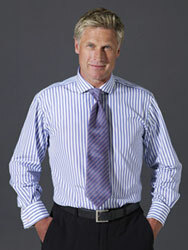 The Herringbone pattern has a distinctive V-shaped weaving pattern usually found in twill fabric.